Communications is never more important than at times of uncertainty and change, and the voluntary sector is currently facing some of its biggest challenges. Organisations may find themselves in a whole new environment as a result of funding cuts and policy changes. Comms is key in preparing for and managing the impact of that change, both internally and externally. But charity management teams don’t always acknowledge this. Earlier this year, Amazon PR carried out research in partnership with the CIPR’s Fifth Estate group to find out how valued senior comms professionals in the not-for-profit sector feel. Fifth Estate, which supports PR professionals in the sector, believed the discipline’s strategic role is undervalued. "Get Heard" surveyed more than 120 senior PR and communications staff in national and regional charities and voluntary sector groups across the UK. There were some strong examples of individuals whose work was recognised as a key element in successful fundraising, campaigning and business development. But there were many more examples of charities failing to recognise the value their communications team brings. A third of the respondents felt their voice is only heard by senior management some of the time. One in eight (12%) said their voice is not heard at all. The majority of those said the strongest indication they were not valued was not being involved in strategic decisions (92%). The survey found that the attitude of a charity’s chief executive was crucial, and strongly influenced the thinking of the rest of the organisation. More than three quarters (78%) of those who felt their professional voice is heard attributed it to the CEO understanding the importance of communications. Similarly, amongst those did not feel acknowledged, 83% said this is because the chief executive does not understand communications and the role it has to play. 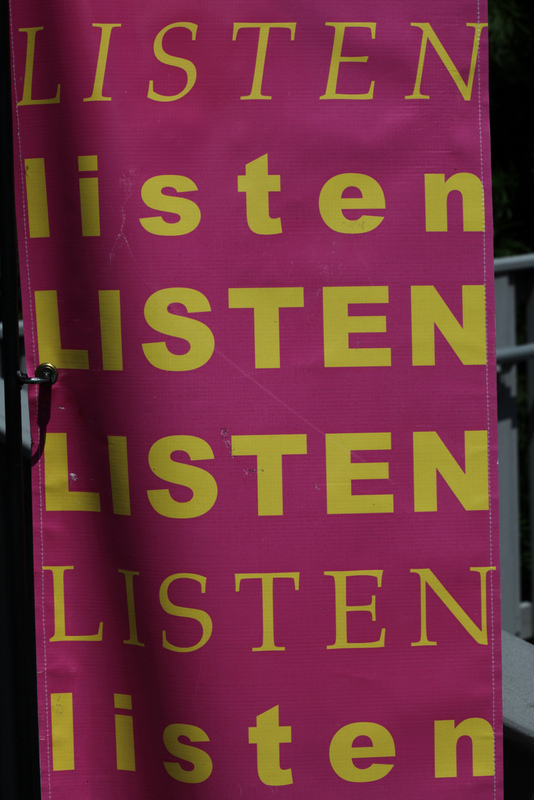 Communications is about listening and engaging. An organisation which respects the communities it serves and understands the importance of good relationships with stakeholders, is a healthy, honest organisation, grounded in reality. That means it is well positioned to secure maximum funding, increase levels of support, influence real change and benefit more people. Two thirds (65%) of respondents to our survey felt not being involved in the strategic direction of their organisation could damage its reputation because they would not be aware of, or be able to manage, risk situations. Around half felt it would affect the organisation’s ability to meet its aims (53%) and make it more difficult to attract donations (44%). Be proactive. Don’t assume that the senior team and your colleagues in other departments know what communications involves. Talk across teams. Organise regular cross-departmental meetings or briefing sessions to manage expectations and to encourage a two-way flow of communication. Shout about your successes. Find ways of showing your organisation what you have achieved. Demonstrating your worth will help you to argue your case for more resources. Create a community. Join or build networks with other communications professionals, learn from others’ experiences and build an external support system.